The Tokyo District Court has ordered Mt Gox to begin compensating victims of its infamous 2014 hack, effectively stalling the exchange’s pending bankruptcy. Posted on the Mt Gox website June 22, the ruling may bring closure to a November 2017 petition requesting compensation — filed by creditors of the now-defunct Mt Gox exchange. Crucially, victims will be compensated in accordance with civil rehabilitation law — not bankruptcy. If reimbursed under the domain of a Japanese bankruptcy proceeding, victims would only be compensated in fiat equivalent of “non-monetary” claims based on value at time of bankruptcy. Based on Mt Gox’s 2014 filing, this would amount to a payout of approximately $483 per Bitcoin. As of June 27, 2018, one Bitcoin is worth $6127. Instead, civil rehabilitation proceedings do not recompense in equivalent fiat value but pay out in the original asset lost. This would entitle hack victims to claim their lost Bitcoins, and cash in on the triple-digit percentage hike the coin has seen since the hack. The move may quell some of the flames engulfing Mt Gox’s bankruptcy drama. Despite losing some 850,000 BTC in the 2014 hack, Mt Gox’s remaining holdings may have comfortably paid out creditors in full — with 137,891 BTC held in the exchange’s cold storage at the time of press. Under Japanese bankruptcy law, however, the bulk of the Tokyo-based company’s assets would have been distributed amongst shareholders. Has the Tokyo Whale Been Beached? Previously overseeing Mt Gox’s bankruptcy proceedings, attorney Nobuaki Kobayashi is now acting as the exchange’s Civil Rehabilitation Trustee. 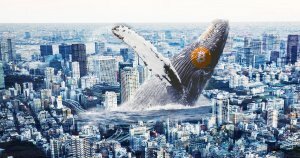 Dubbed the ‘Tokyo Whale’, Kobayashi has repeatedly been criticized for purportedly devaluing Bitcoin when he liquidated thousands of Mt Gox Bitcoins on exchanges. Those who lost Bitcoin in the hack will need to file claims by October 2018, however, no official schedule has been set for payments. The post Mt Gox Ordered to Repay Victims of 850,000 Bitcoin Hack appeared first on CryptoSlate.